Today is launch day and like the day you synthesized your first compound, cloned your first construct, or gave your first talk without feeling like you were going to wet yourself – we’re proud and excited….and dry. As a chemist, the idea that I’d ever be able to put together a website never dawned on me. Thinking about it now, it shouldn’t have. 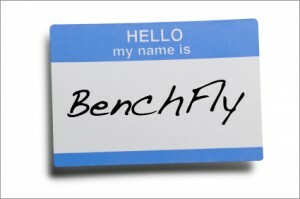 I can’t put one together… BenchFly is a result of the hard work of many people. I don’t want to turn this into an Oscar ceremony, but it’s important to get the acknowledgements in up front. To prevent violating anyone’s privacy (or employment contracts), we’ll keep it to first names. Thank you so much to Larry, Kirem, Nancy, Leslie, Meikam, Bob, Geoff, Eric, Jason, Dan, Walter, Mike, Rachel, Ronen, Jo, Steve, Jim, Irwin, Anne, Michael, Alan, Leona, Matt, Peter, Dimitry, Waneta, Katie, Richard, Alex and Dave. And special thanks to the stars of some of the currently posted videos, Sven, Steve, Brenda, Aaron, Tom and Bill. They are the original BenchFly Catalysts, donating their time and energy to help us achieve Our Mission. There was just a minor hitch in my plan to get BenchFly going… I had never actually shot a video. Luckily, a good friend of mine named Dan Lyons (a filmmaker who shoots regularly for Scientific American, Discover and National Geographic) distilled the most important elements of shooting a scientific protocol down to three basic principles. 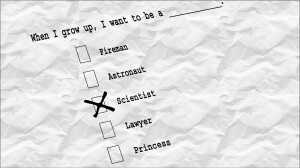 Update: To follow-up on the recent article by Prof. Teaster Baird, Jr. titled “Why Did I Become a Scientist?” we wanted to revisit an earlier post to ask ourselves this exact question. What was it that made you become a scientist? It’s easy to understand why kids grow up and want to be a movie star, athlete or a rock star. The reported fame, fortune and excitement associated with these careers are hard to avoid these days and they even have “ordinary” people scrambling for a piece at any cost (see the Jon and Kate circus). However, excluding a few exceptions like CSI, “the scientist” is rarely celebrated in the mainstream media, perhaps due to the perceived lack of fame, fortune or excitement associated with the career.